George Gaunt was a quiet and gentle man, but a firm disciplinarian who was devoted to the service of his king and country. At the age of 21 he left his Yorkshire home to enlist in the Coldstream Guards, where he went on to serve his country with dignity and honour, though a trivial sporting injury cost him the chance to fight on the field of battle during World War II. In peacetime George became a respected publican in a Gloucestershire village, and the entire community mourned his early passing. Thirty years after he died, his son Alan was astonished to receive a letter revealing that George had been married before he had met Alan’s mother and had even raised two earlier children. The letter brought a happy reunion between the two sides of the family. 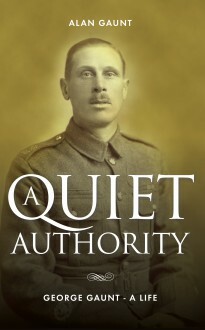 It also started Alan on a trail of enquiry which enabled him to piece together a comprehensive and fascinating account of the father he had lost when he was only 13 years old.